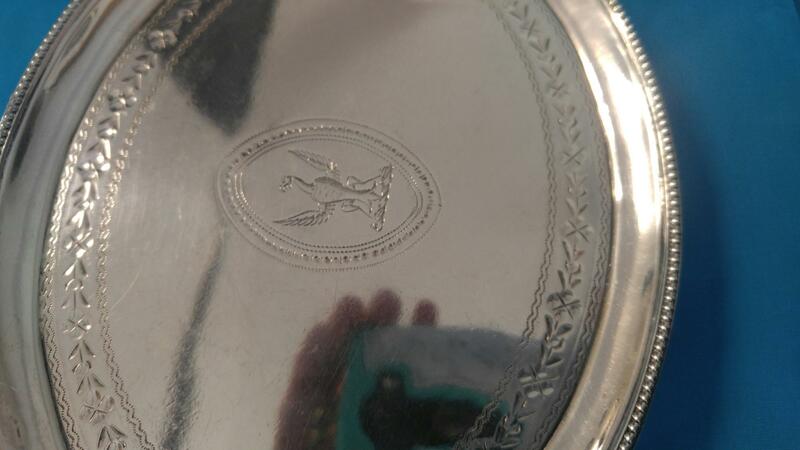 Fine pair of early Sheffield plate, tall wine coasters. 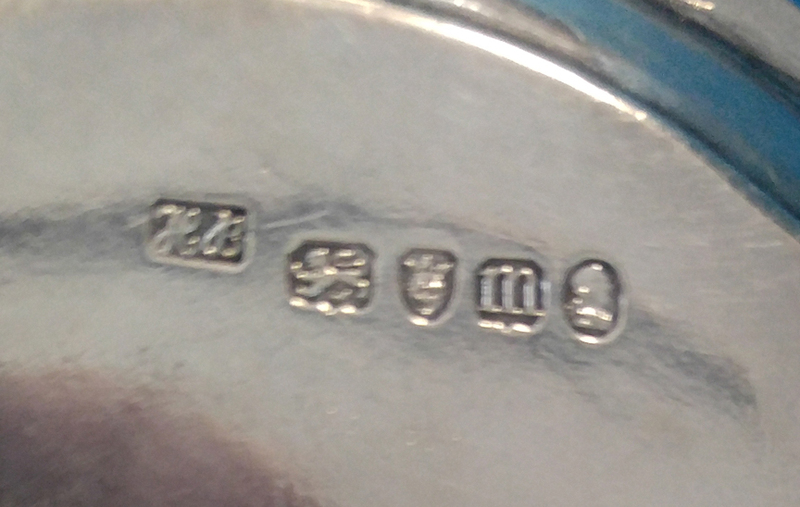 Measuring 7 1/4" diameter and date from the 1830 period. 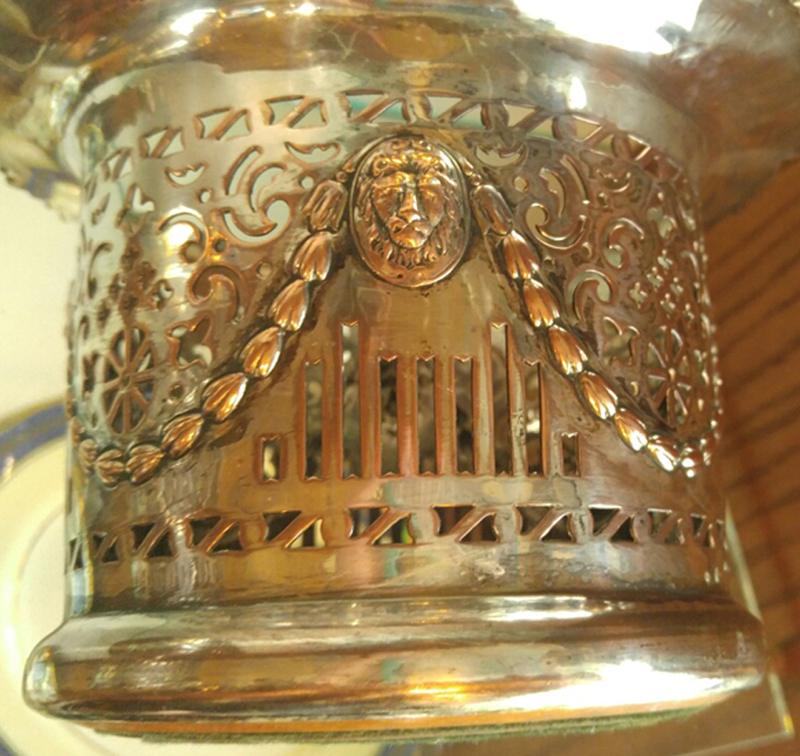 They have lions with draped work and fancy top repousse. 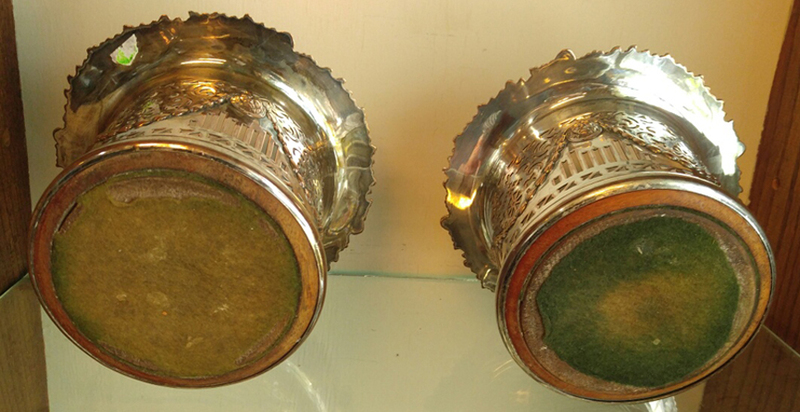 The coasters are in nice condition with beautiful copper coming through. 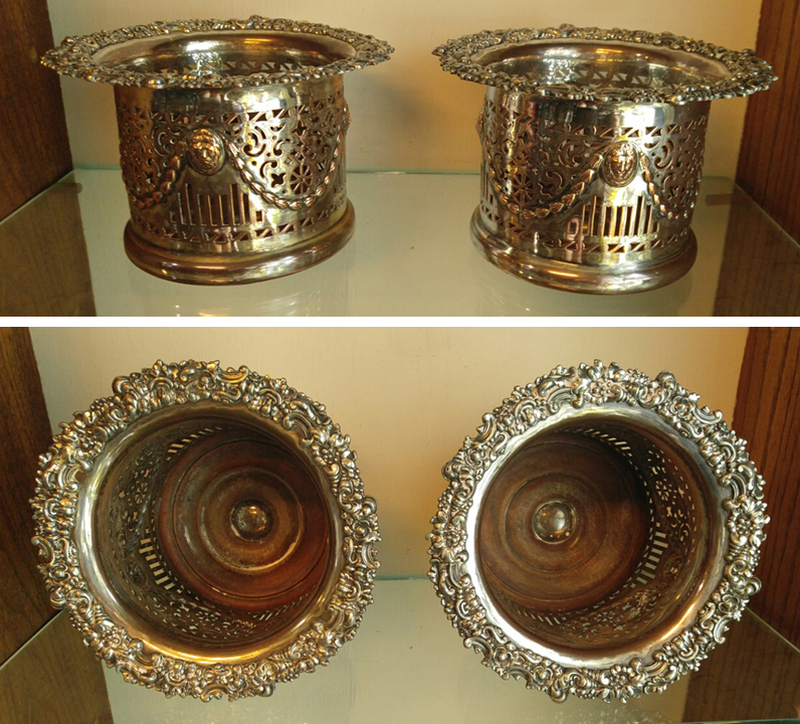 Fine pair of early Sheffield plate, tall wine coasters. 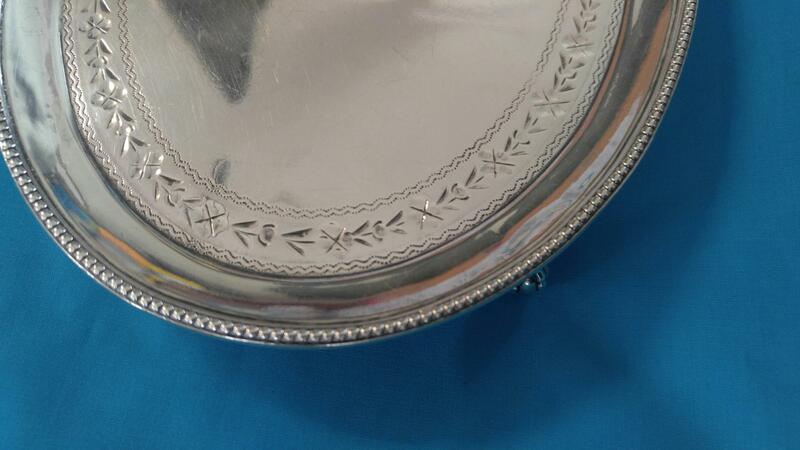 Measuring 7 1/4" diameter and date from the 1830 period. 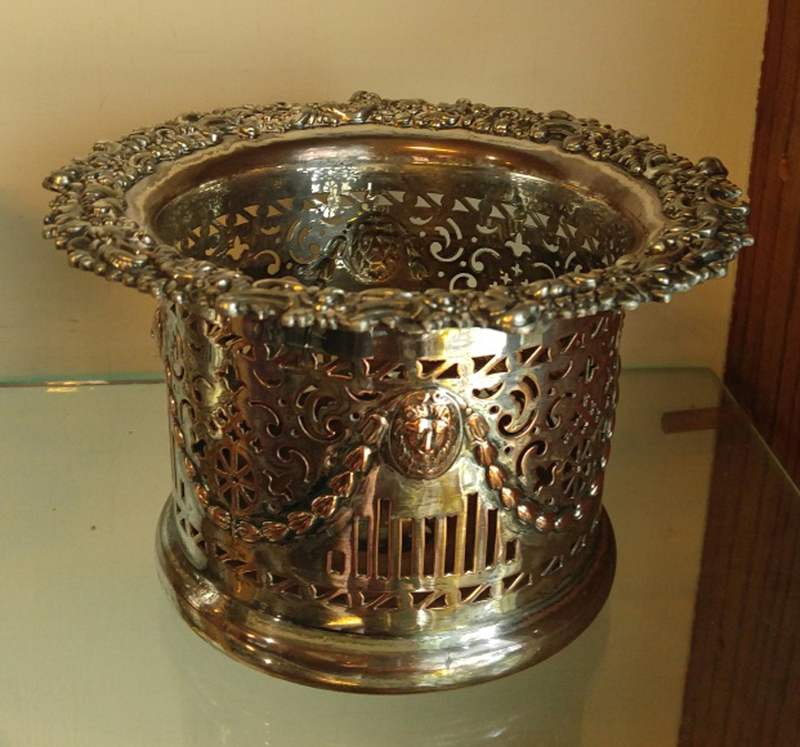 They have lions with draped work and fancy top repousse. 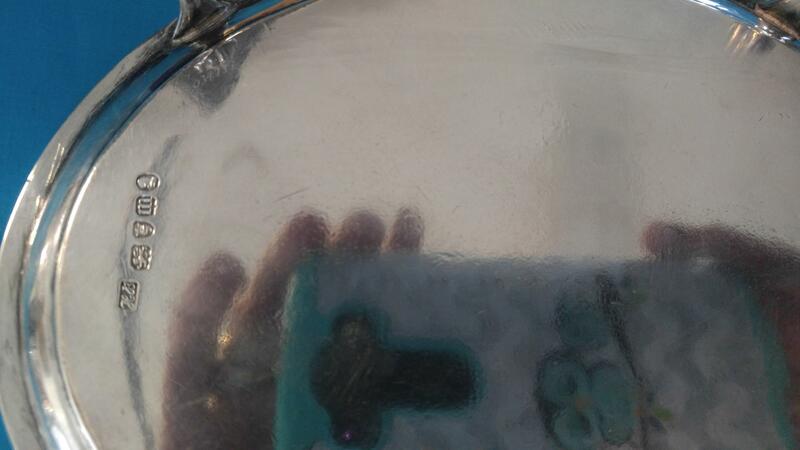 The coasters are in nice condition with beautiful copper coming through. 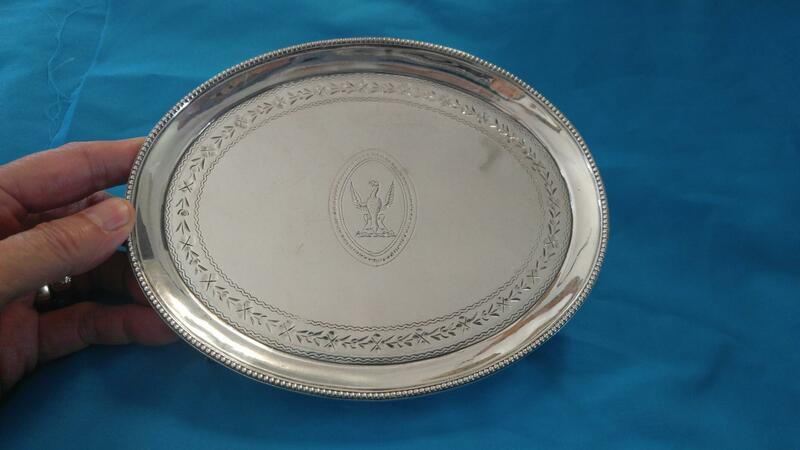 Estate 18th Century English, London, sterling silver, Phoenix bird, salver. 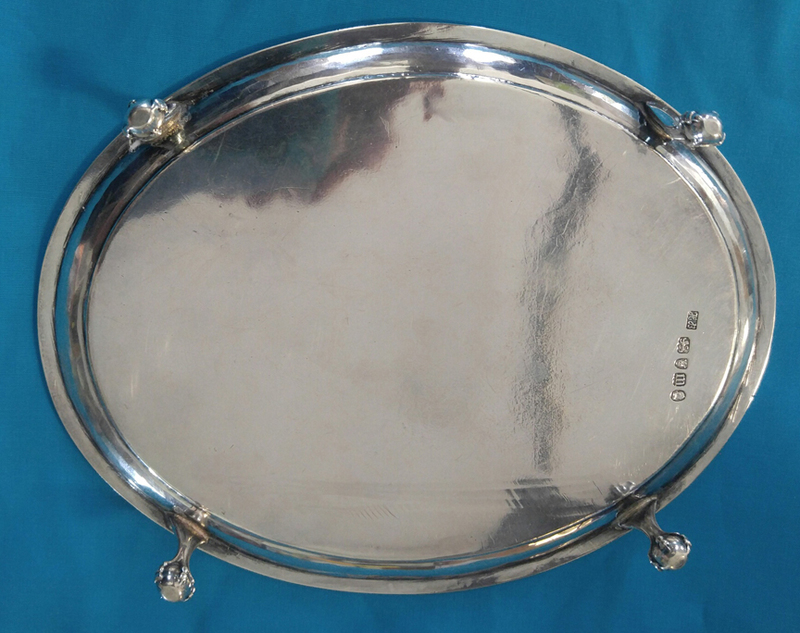 Circa 1787 period, measures 7" x 5 1/2" x 1" high and weighs 170 grams. 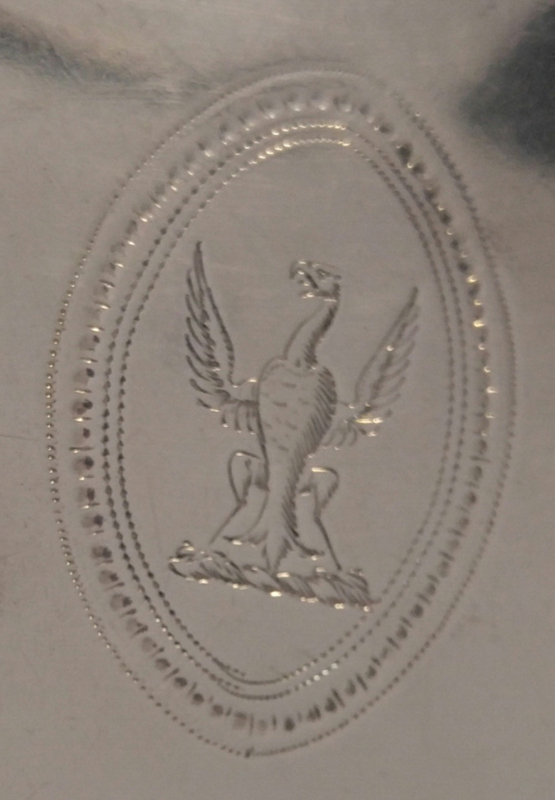 It is has beautiful etching around with a Phoenix bird in the center and is marked on the base, as you will see in the photographs available. 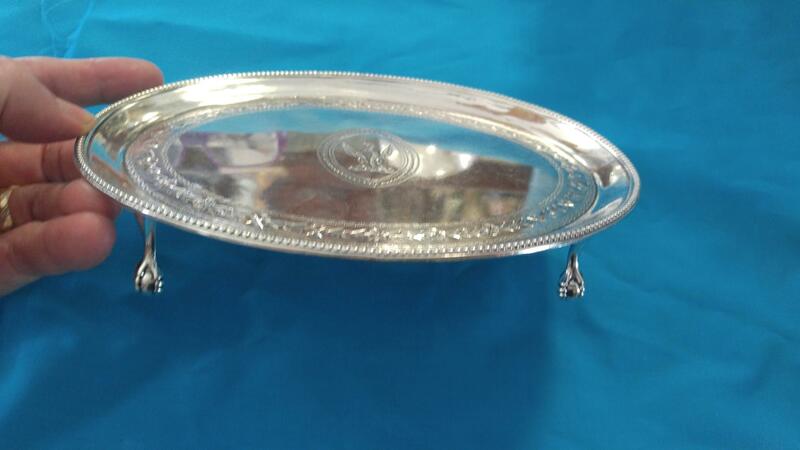 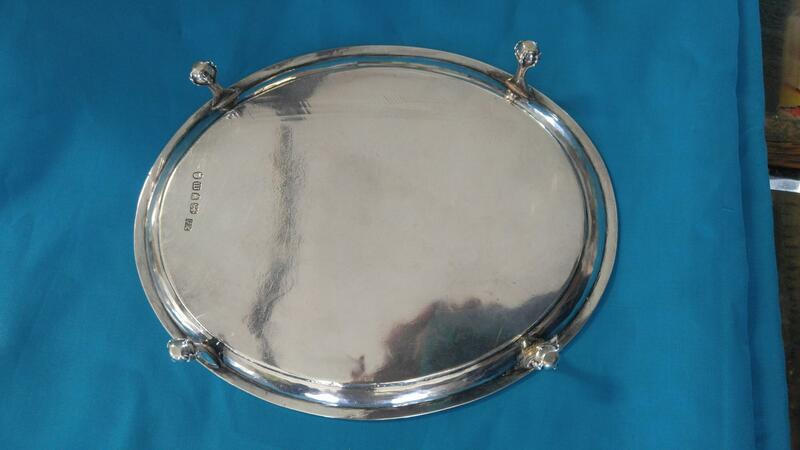 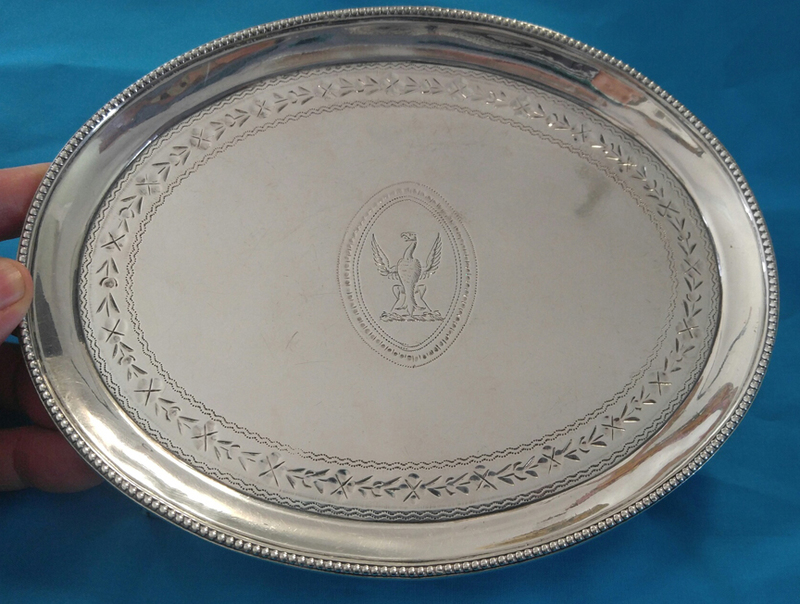 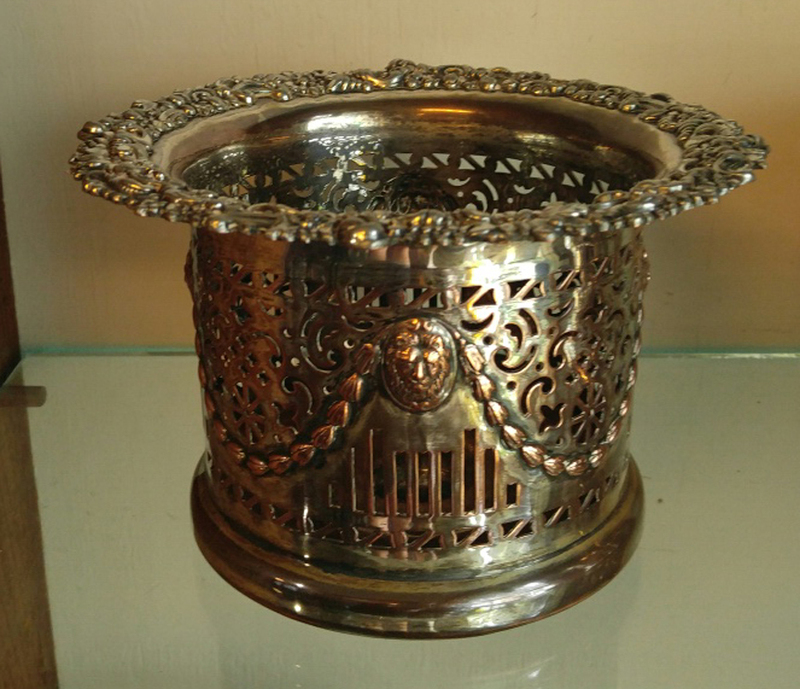 The salver is in nice condition, having no dents and only minor scratches.